If you do not know what a meme is, chances are you have been living under a rock for the past decade. Jokes aside, memes have taken over the world with millions of daily meme users or memers as they like to call themselves. You can find a ton of different memes online. However, if you are not happy and satisfied with the kind of images you get on Tumblr and Reddit and feel that you cannot find the perfect meme for your current situation. Worry not! 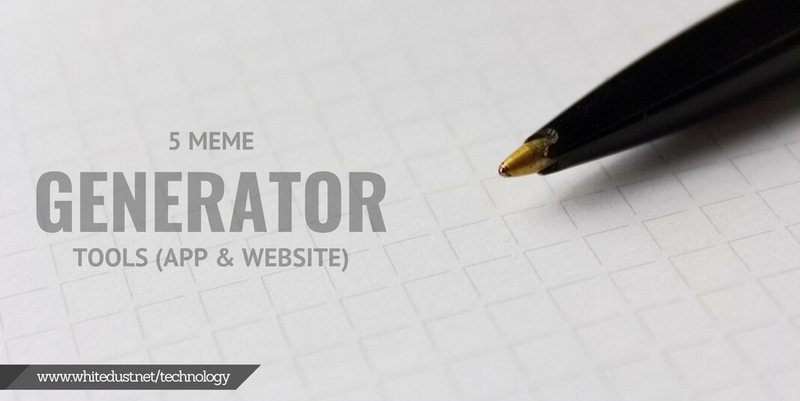 Here is our article that will cover some of the most popular Meme Generator Tools that can be used via app and websites. But seriously, sometimes finding the image that you relate to might be a hard task, and that is why there is a bundle of meme-generating tools that help you in creating memes. These meme-generating tools let you create memes in a jiffy. But first, let us know about what is this memes culture that happens to be a sensation over the internet. The word “Meme” was first coined by Richard Dawkins when asked about how cultural information spreads. Memes are a worldwide phenomenon that can either be an idea or a concept that are typically humorous. Memes can be in any format: image, video, or after a fictional character, movie, actor, etc. Generally, memes are the media content that consists of a popular image with typically two sections of text: one at the top and another at the bottom. When a person mentions to you the word “meme,” then it is likely that he/she is referring to you either about a funny image or a video that is shared online. Why do people use Meme? Memes are often called as internet’s inside jokes. Generally, they convey a feeling of familiarity and relevance and sometimes being a part of something bigger. Although to understand or create a meme, you need to gain a significant amount of knowledge which you get either by watching a few popular shows and browsing social media channels. This is the secret element that turns memes from regular jokes to a viral material. To create a meme, you need tools. And at present, several meme generator tools will help you create an extensive range of memes. 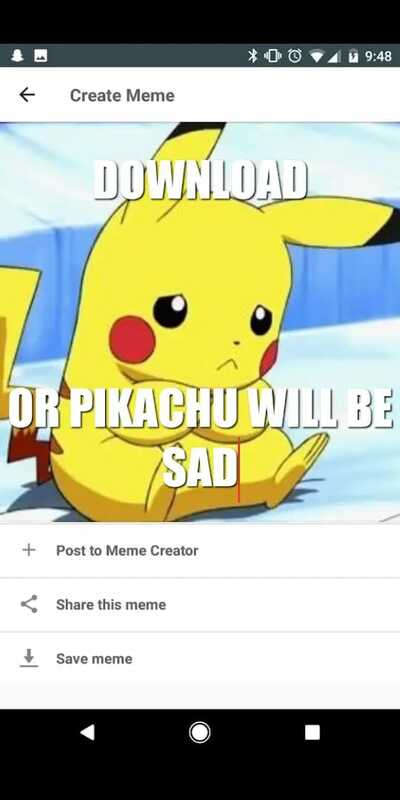 A meme generator allows you to create images and to add customizable texts to the pictures. It is a web-based tool that enables users to create their visual image meme. Here we present to you some of the most famous meme-generating applications and websites that people use to create and share it with the online world. Mematic is a pretty good meme generator application which is available for both the Android and iOS users. 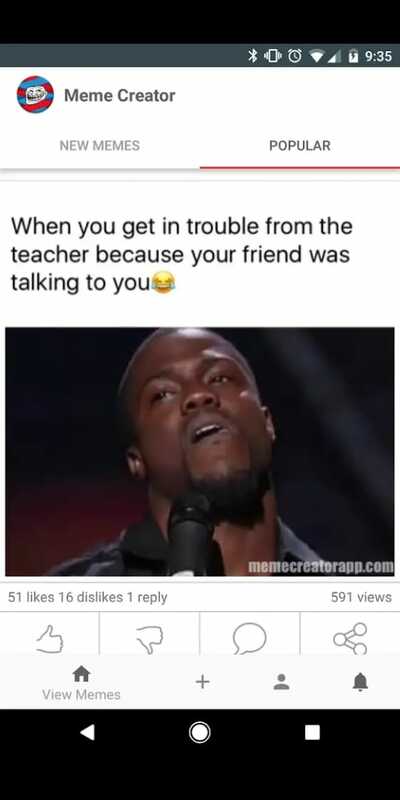 It has an extensive range of the most popular memes waiting for you to add captions and share it with your loved ones. 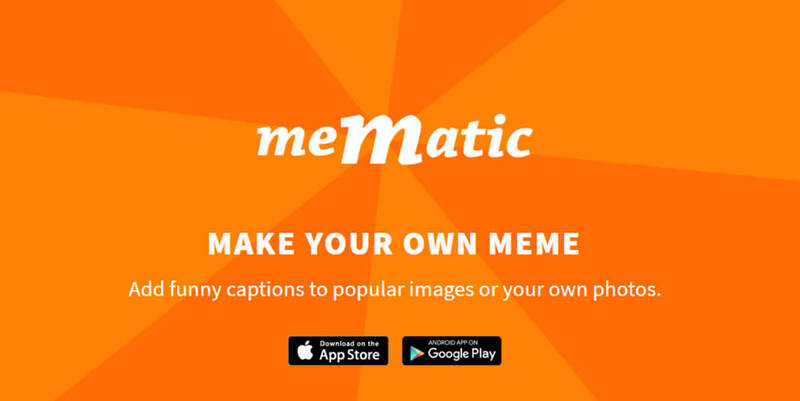 Mematic is free and also has no-in app purchases. However, it comes with a few ads that might annoy you a bit. A handy app for iPhone users to let them post memes efficiently and comfortably. As an iPhone user, you can choose thousands of gifs and memes, allowing you to change the text size and the color. 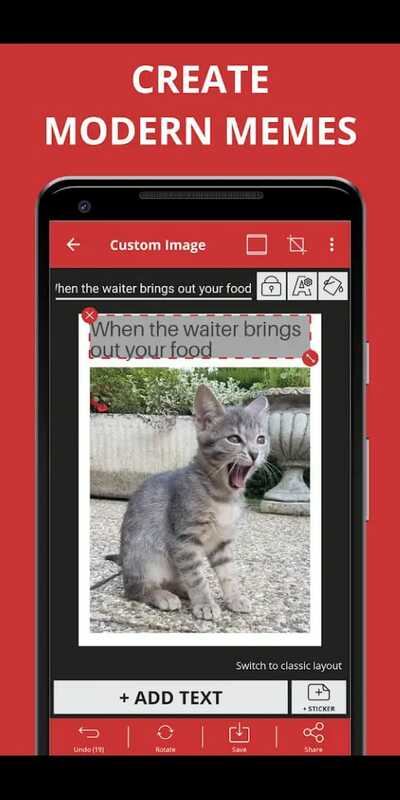 Users can also share their memes across multiple social media platforms or create memes with existing photos. Meme Generator from ZomboDroid is perhaps the most interesting and exciting meme-generating apps. It is available on both Android and iOS platforms, charging a basic fee to block ads appearing in the app. It has a vast list of categories that include numerous meme templates and also supporting an option to make memes of your own. 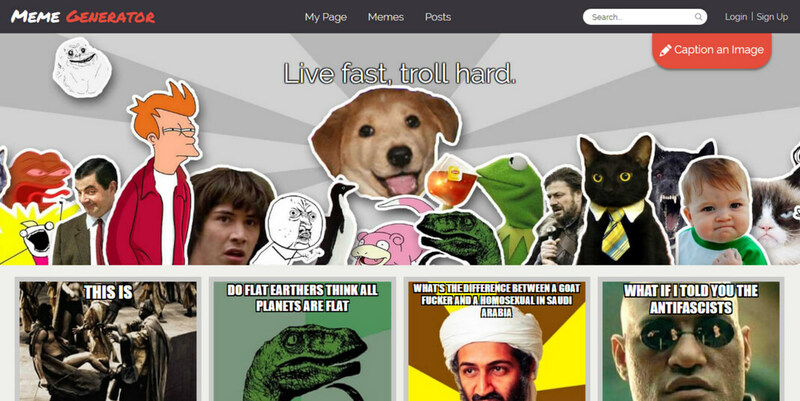 MemeGenertaor.net is a famous online meme-generating tool. 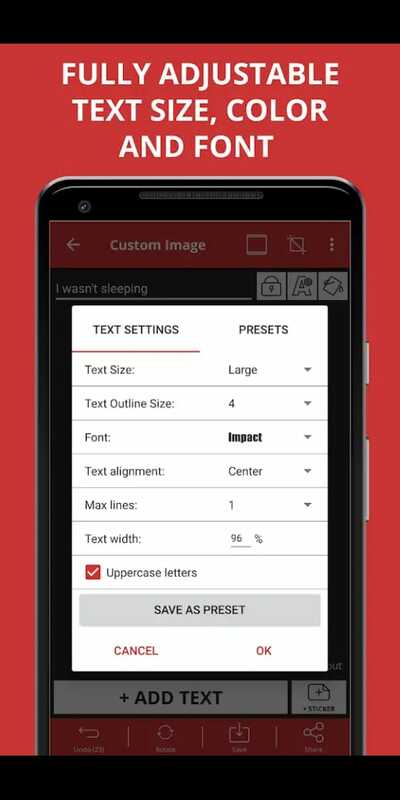 It gives you an option to browse through ones that are already created by other users. In addition to this, you can also search for what’s popular and newest of memes. Troll.me is another online meme generator tool and packs some of the features as the one listed above. You have to create an account and log in, create memes and browse through some of the most popular memes available on their platform. As long as the internet’s their memes will tend to become even more popular. Memes can also be used as a great marketing strategy. Memes are everywhere, they are right there on your Instagram feed, allowing you to send them to your friends. If there are tools that we’ve missed out on, write to us in the comments section below and let us know. “Meems” or “MAYMAY” call it whatever you want, these are the things that keep the online world entertained. Previous Professional Video Editing: What does it take?